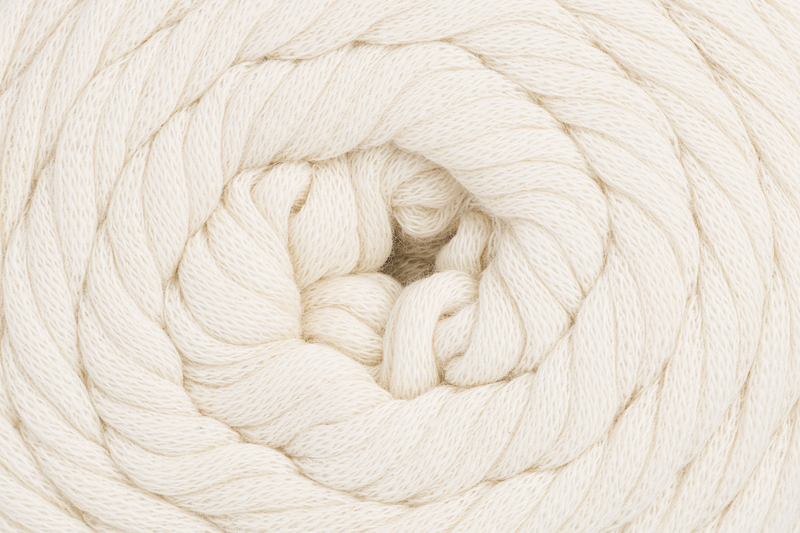 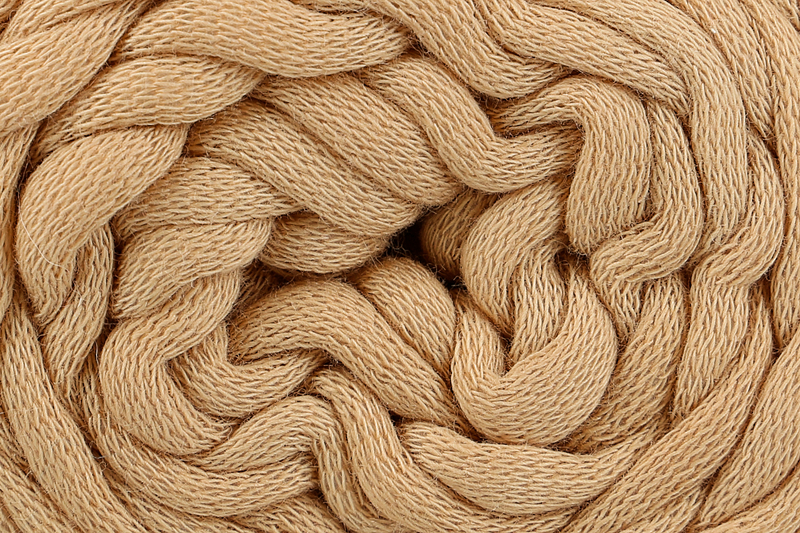 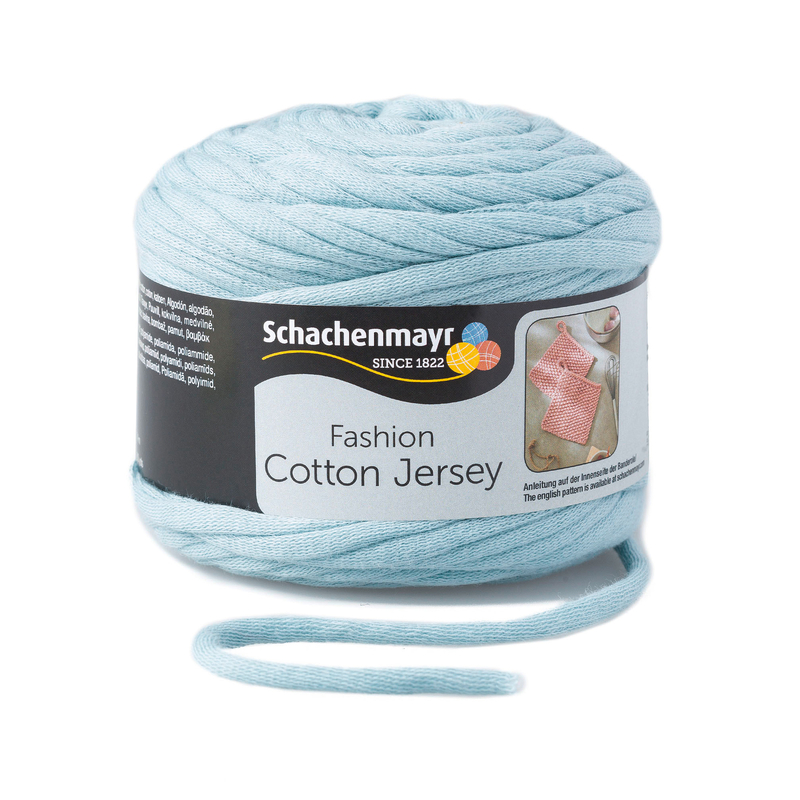 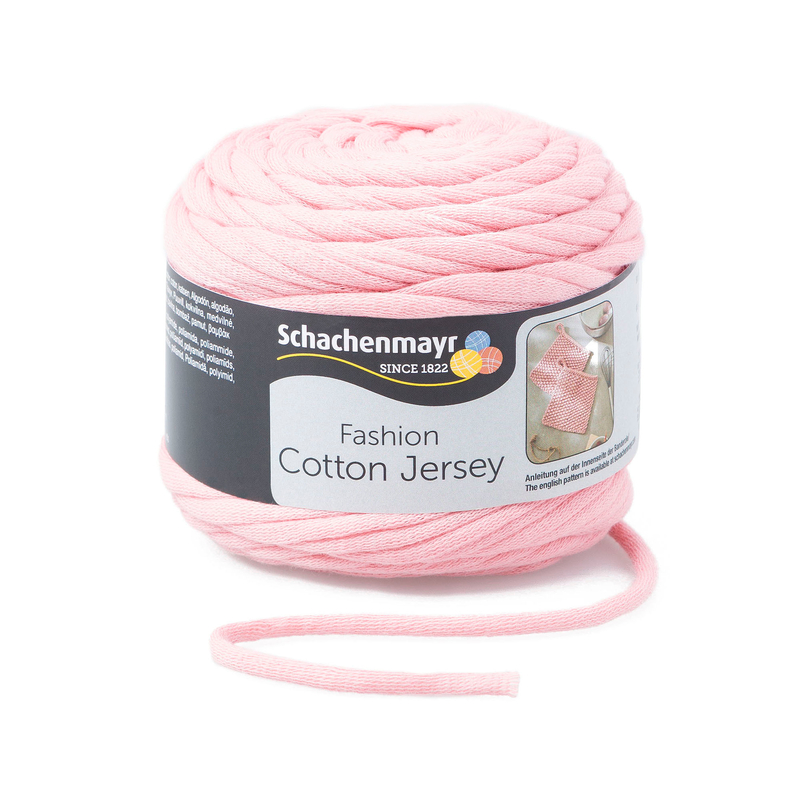 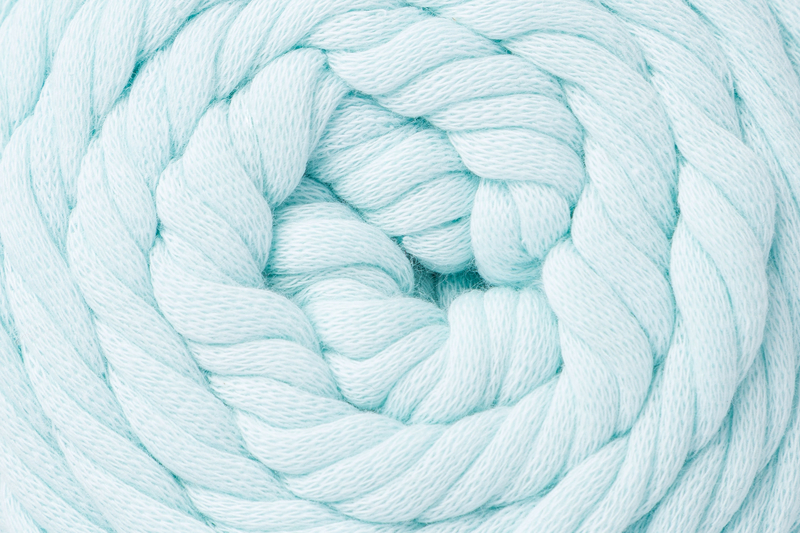 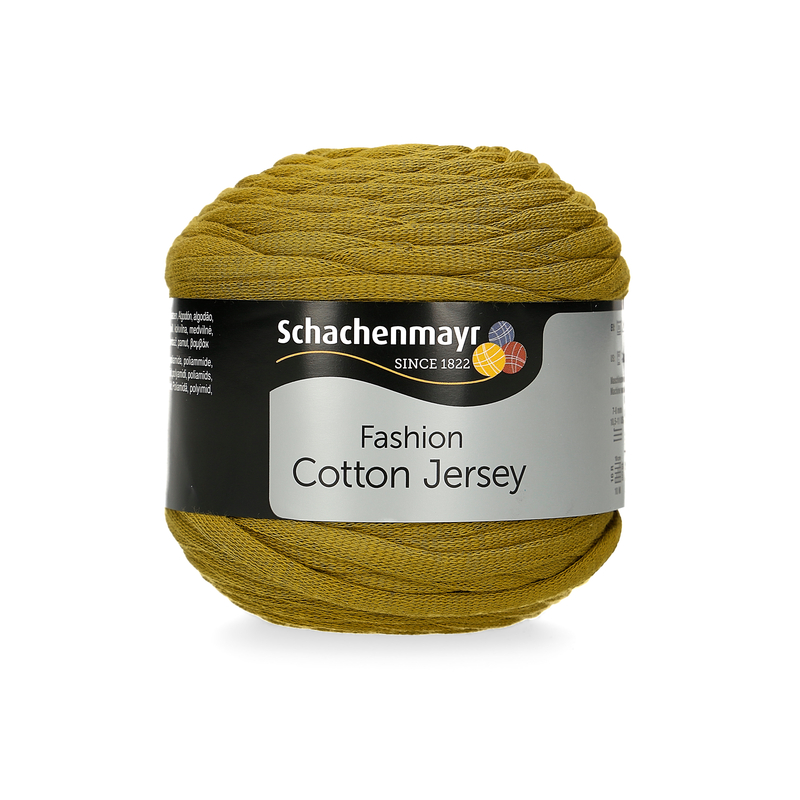 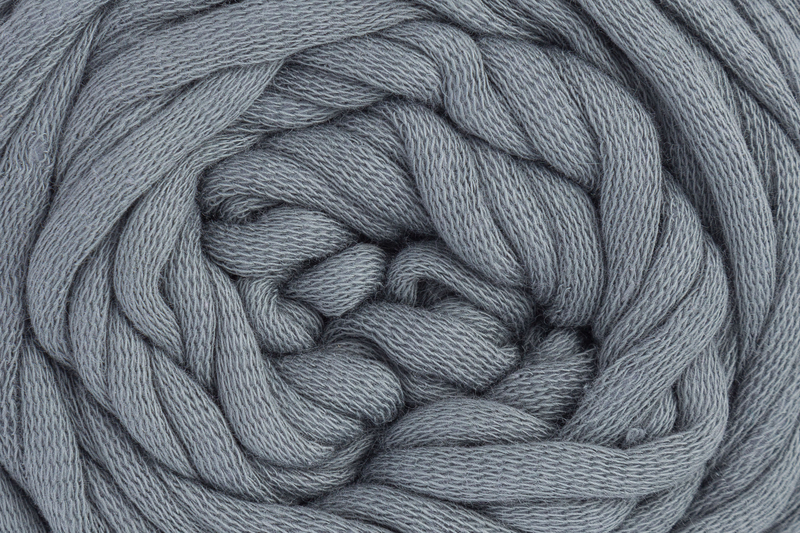 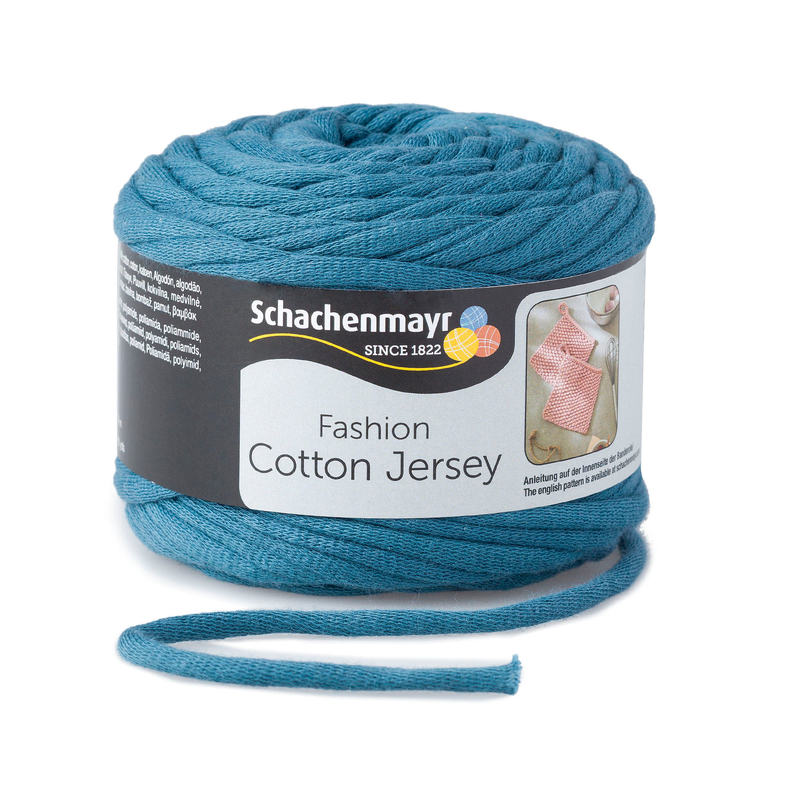 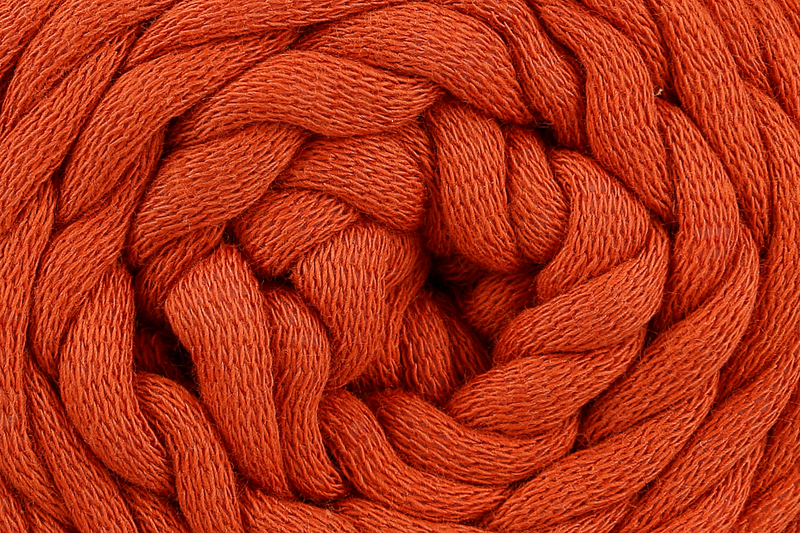 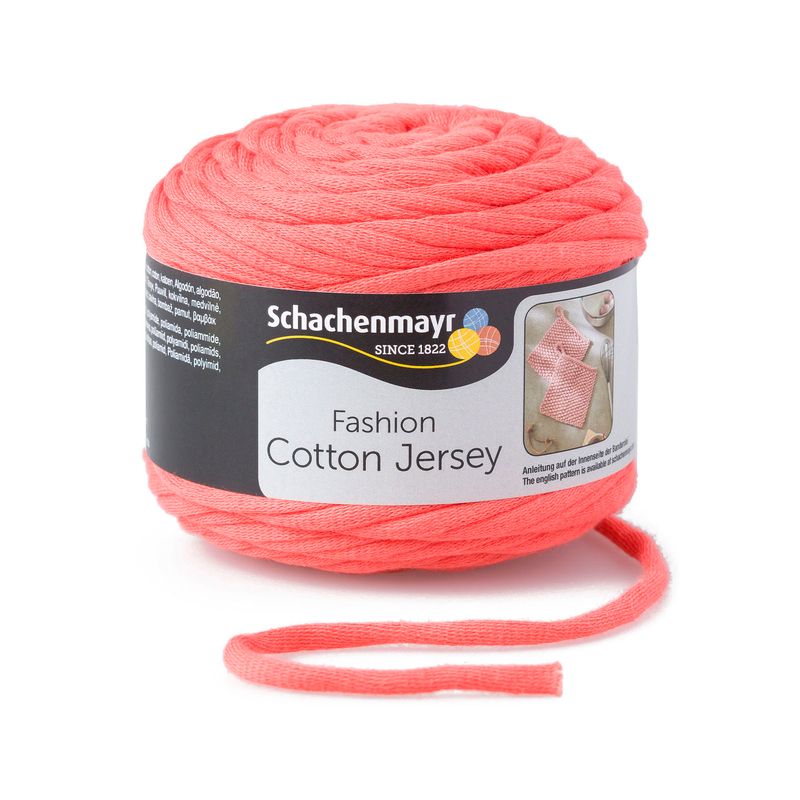 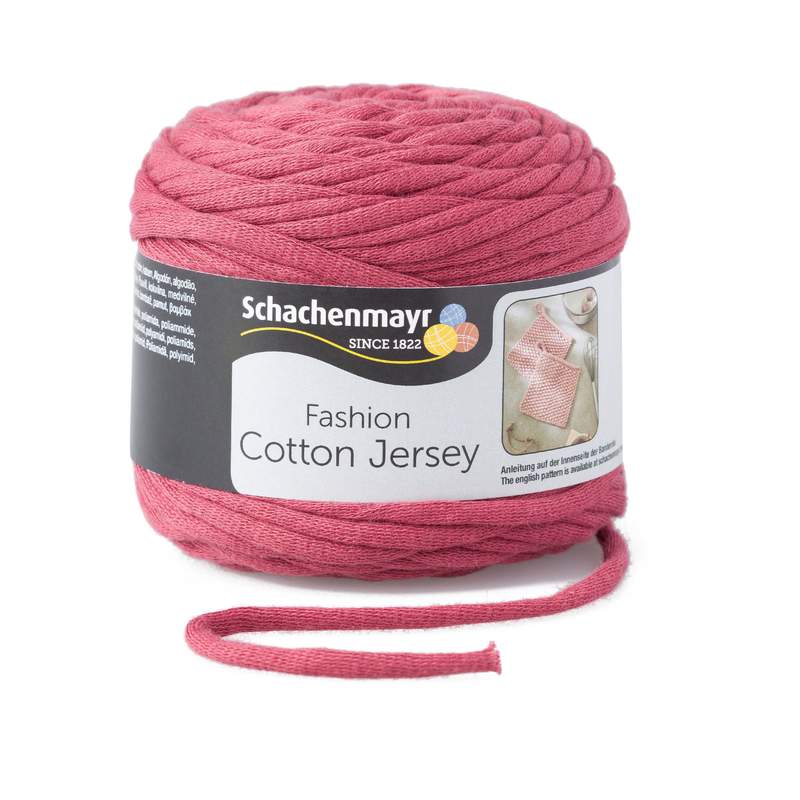 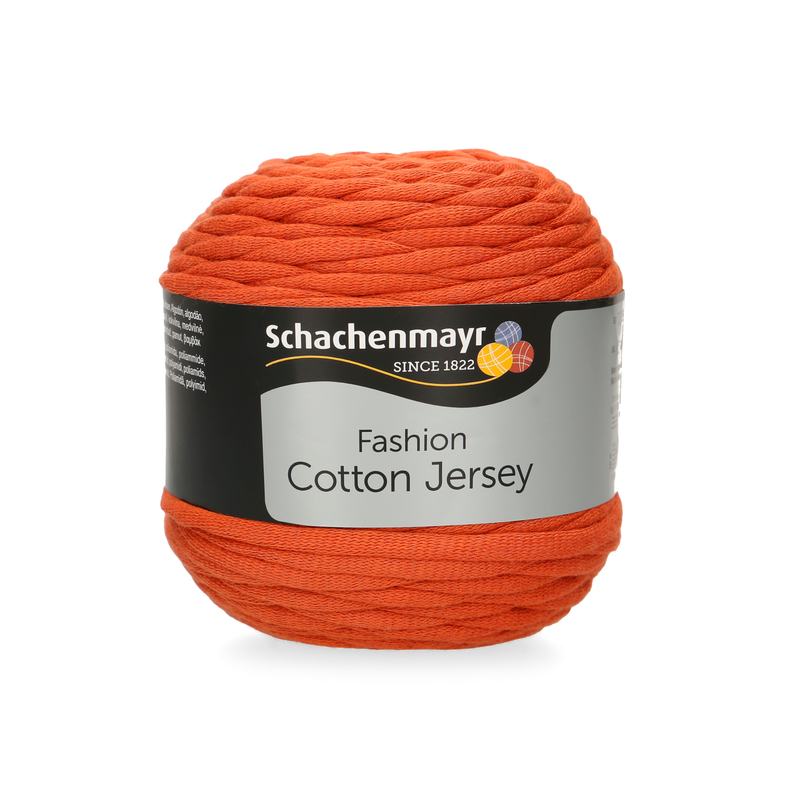 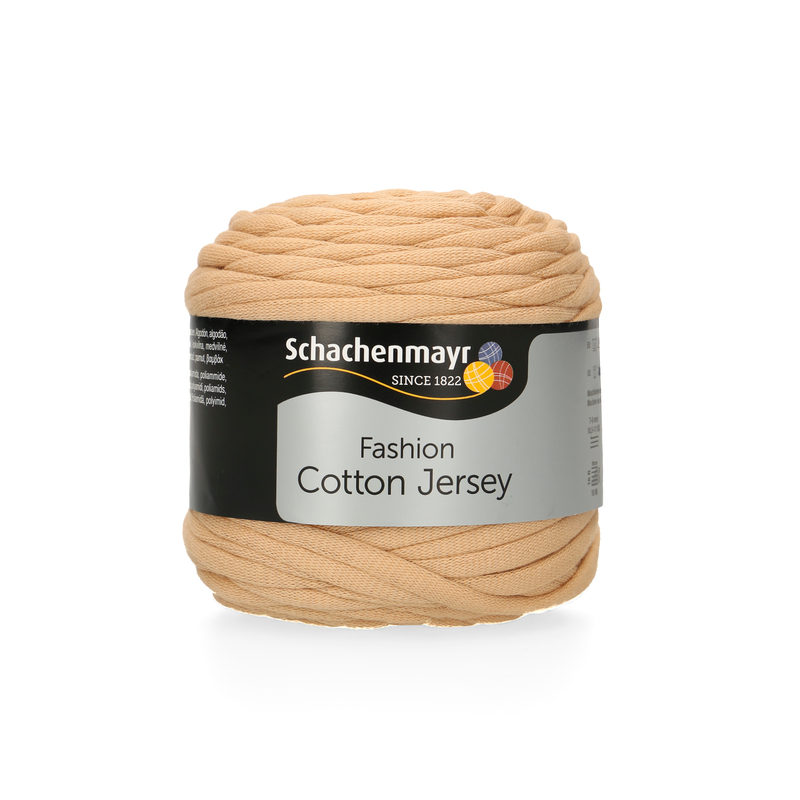 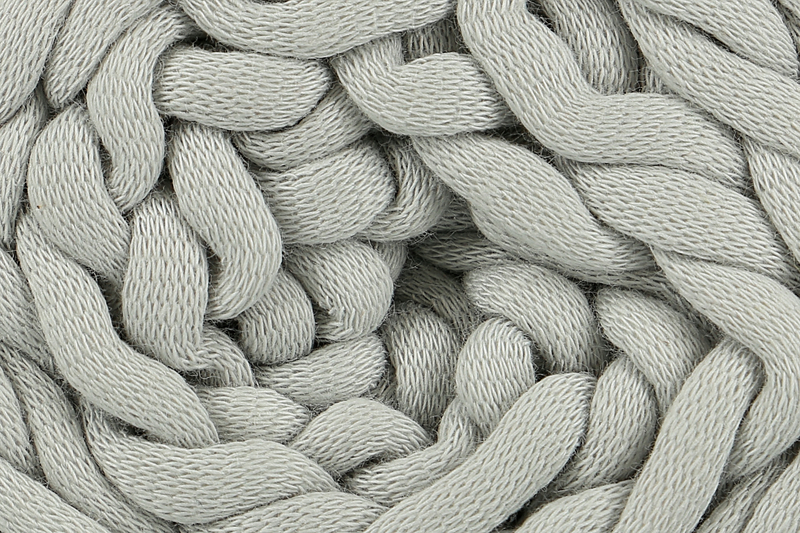 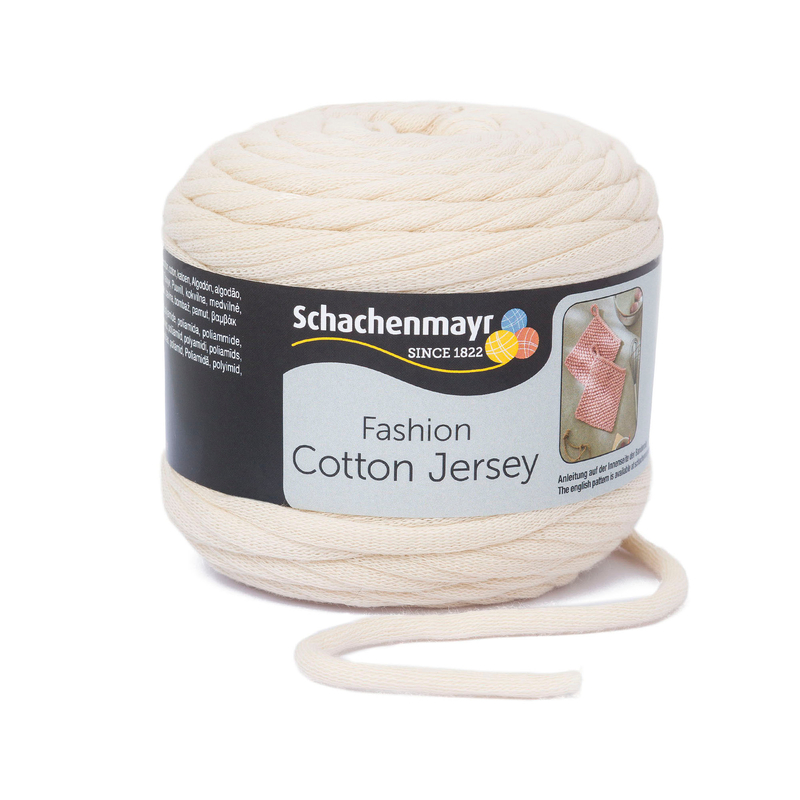 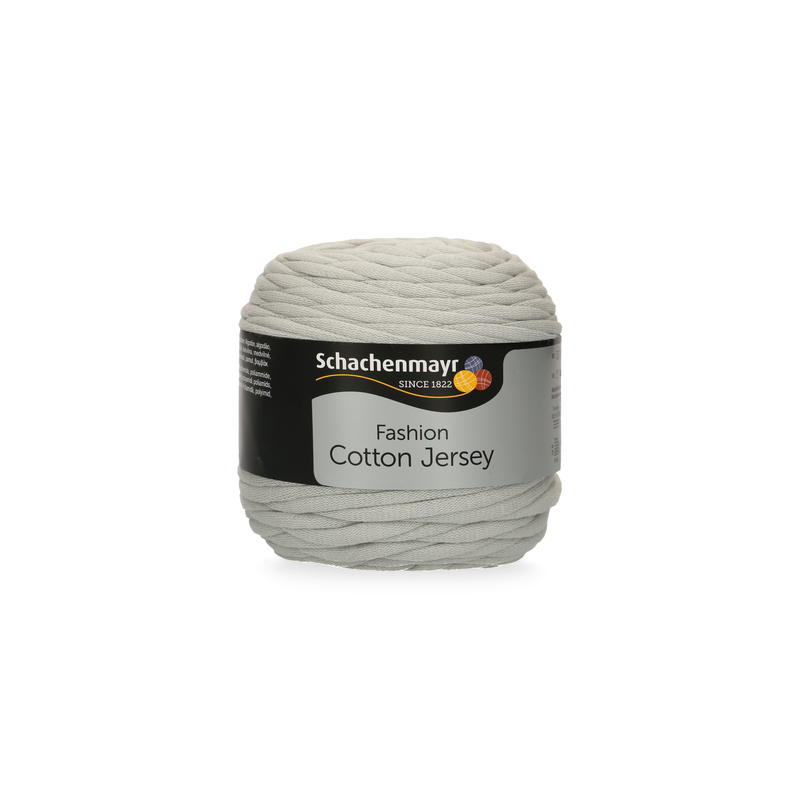 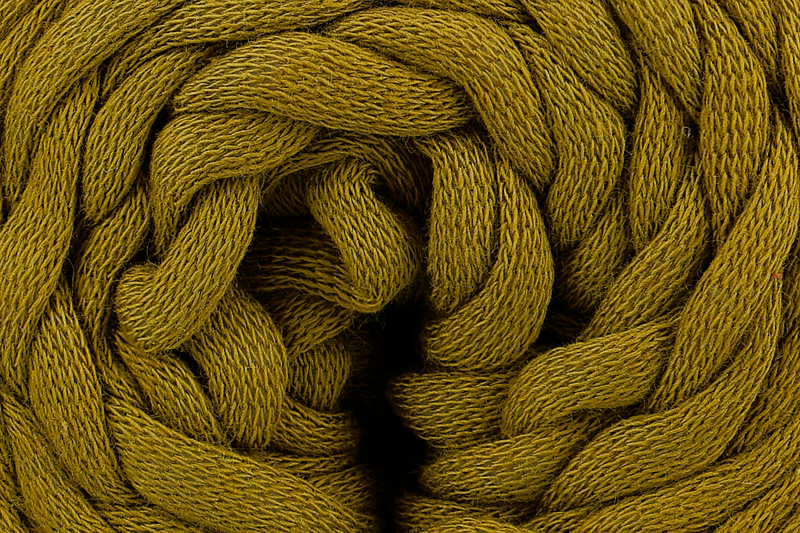 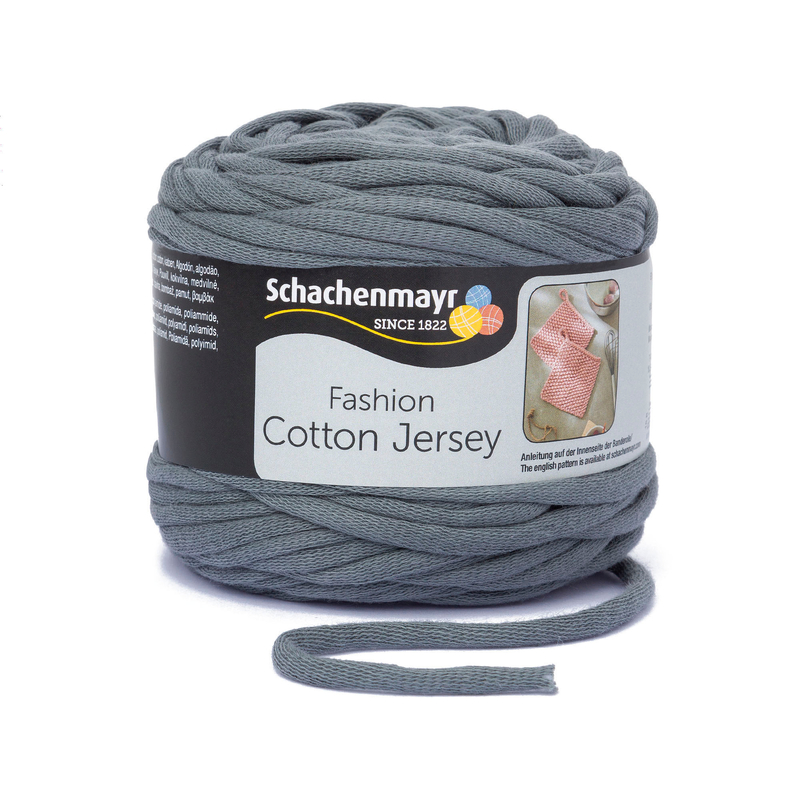 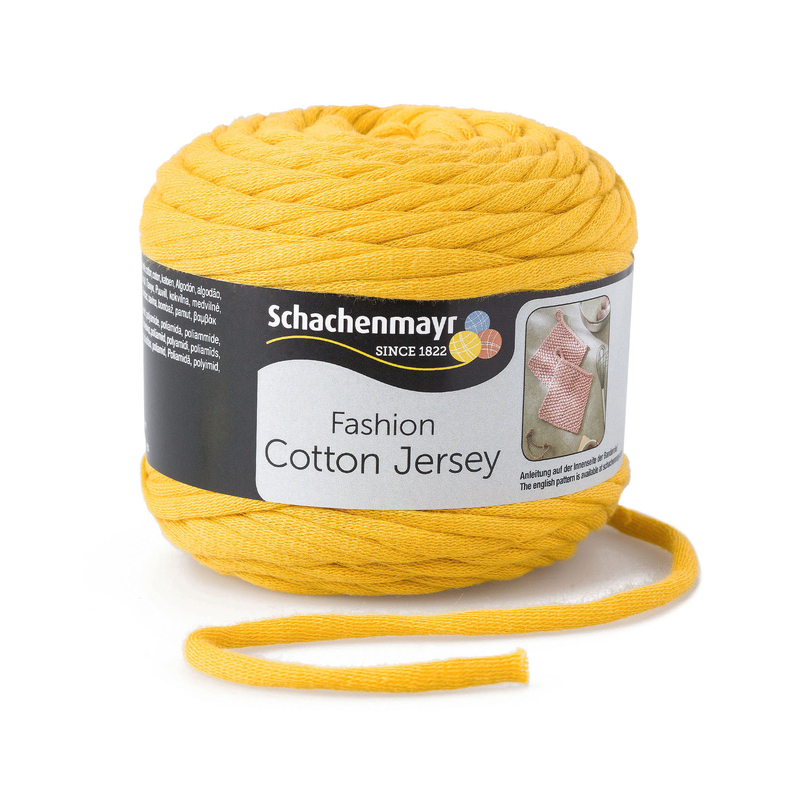 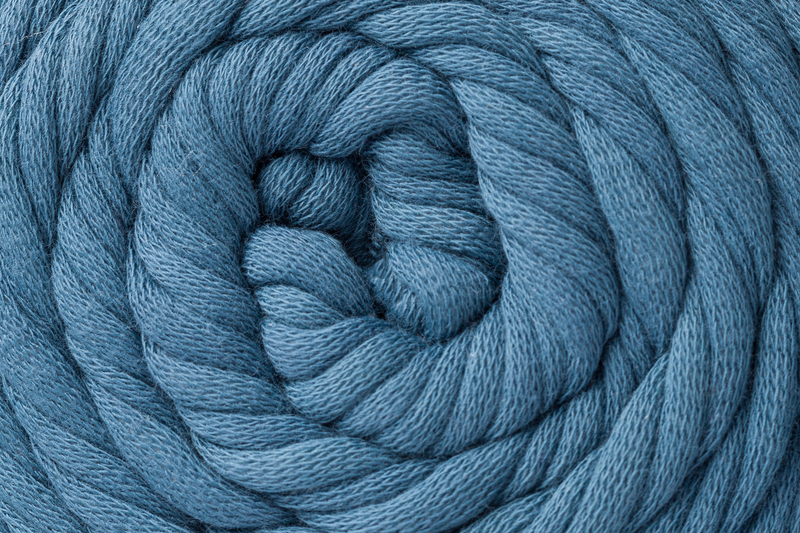 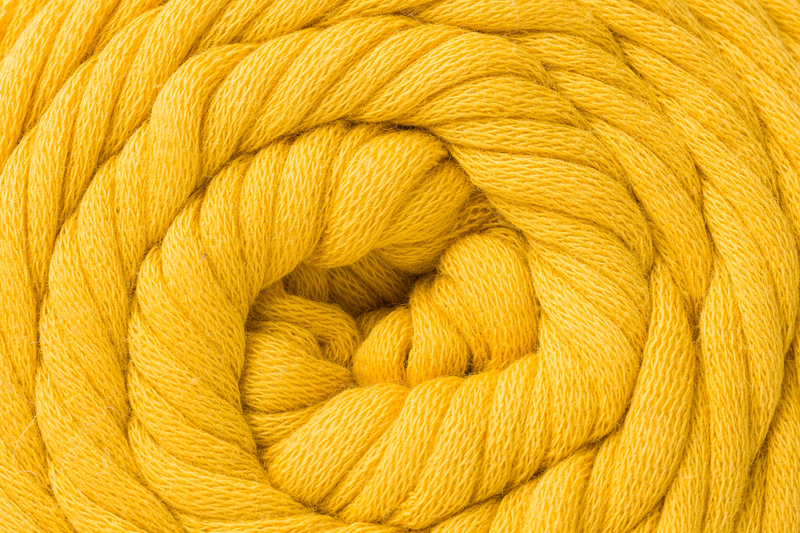 Cotton Jersey is a voluminous, round tape yarn, constructed from a cotton net filled with polyamide. 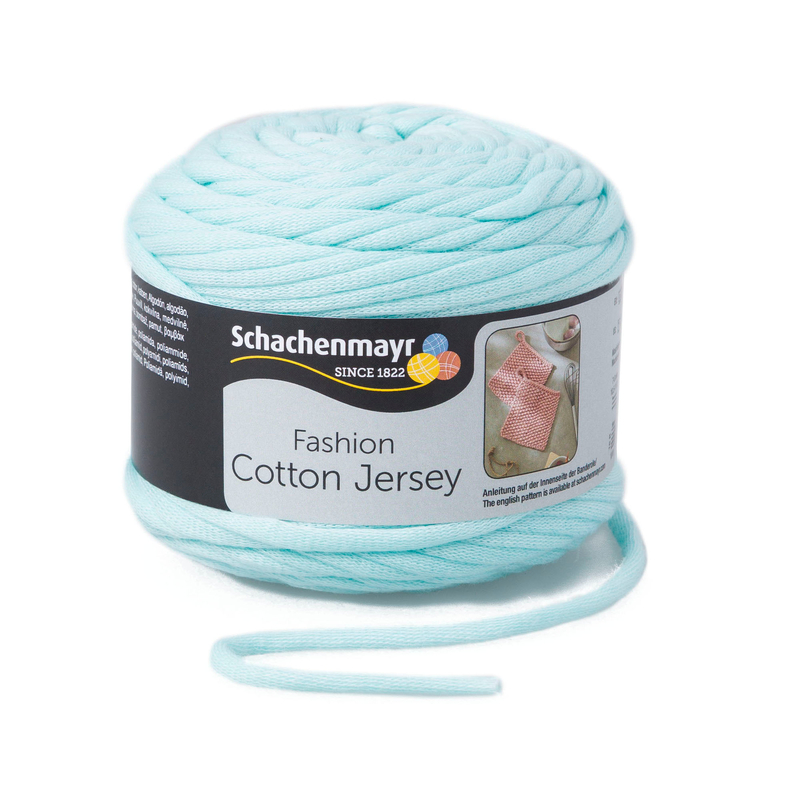 Due to this construction, this yarn is lighter than other cotton tape yarns and features a slightly stretchy quality. 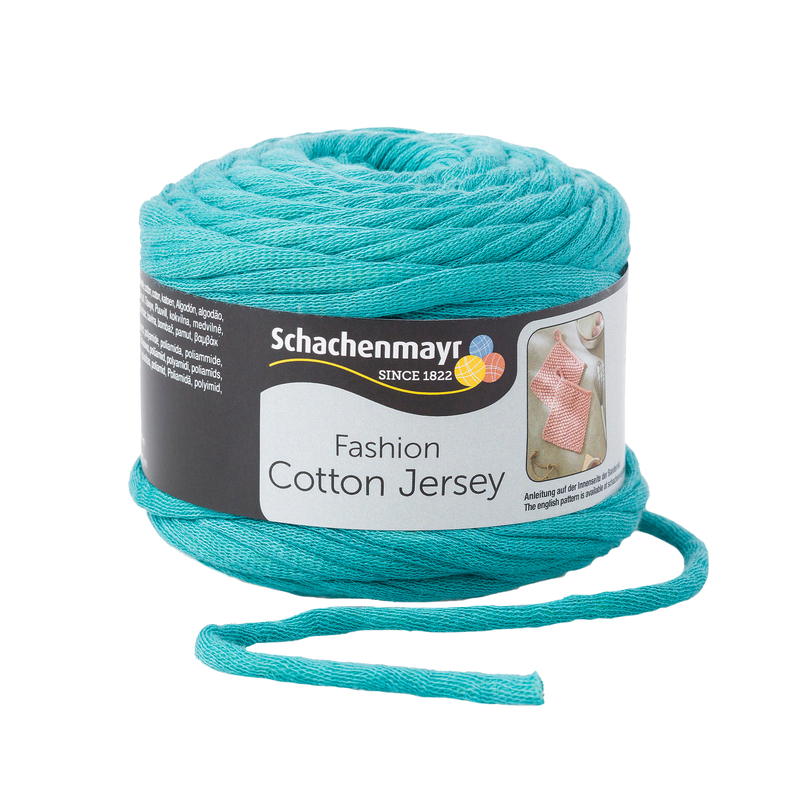 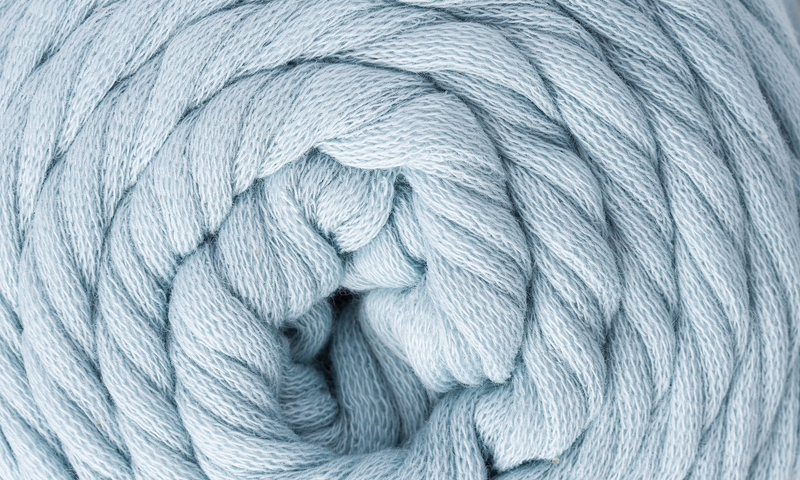 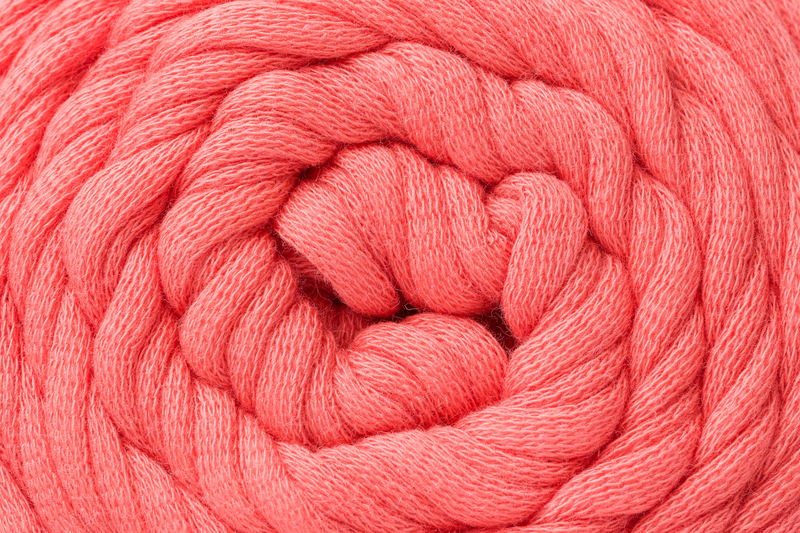 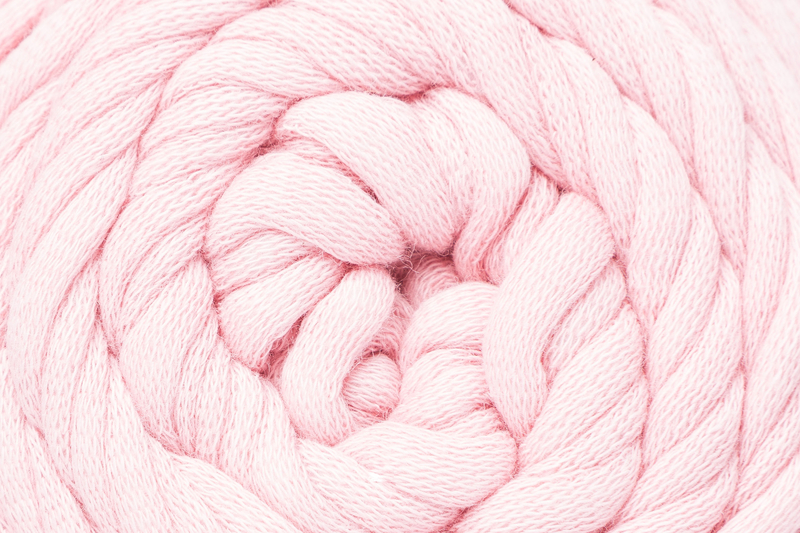 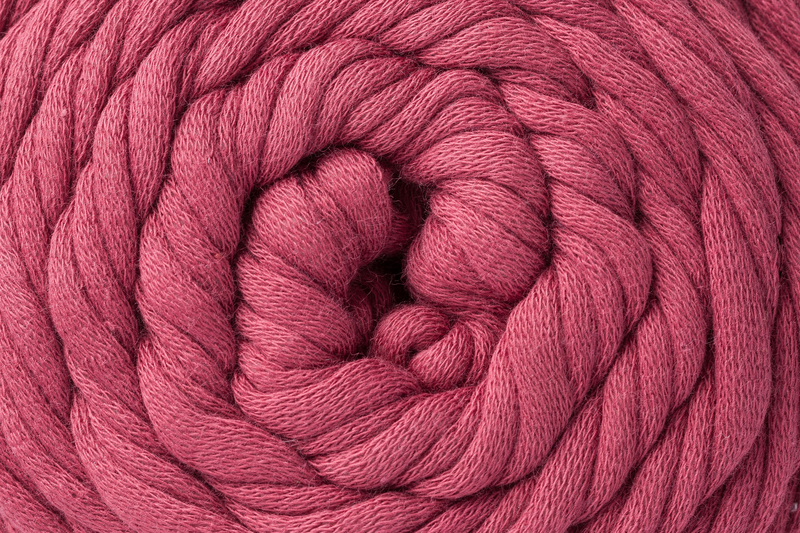 Cotton Jersey is the perfect yarn for trendy and quick-to-knit home deco designs like baskets and cushions. 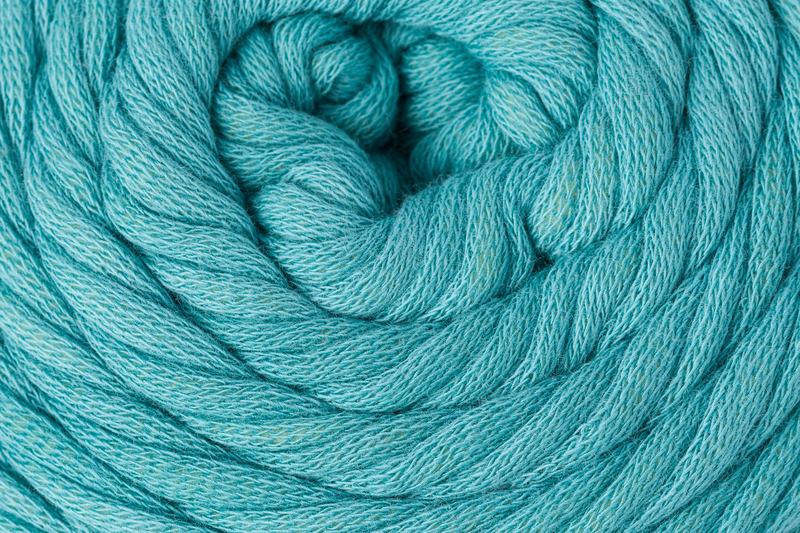 This yarn looks especially nice in textures like seed stitch!